Preface: The National Low Income Housing Coalition (NLIHC) awarded its annual Organizing Award to the Non-Profit Housing Association of Northern California (NPH) and the East Bay Housing Organizations (EBHO) during its “2017 Housing Policy Forum: Advancing Solutions in a Changing Landscape” on April 3. 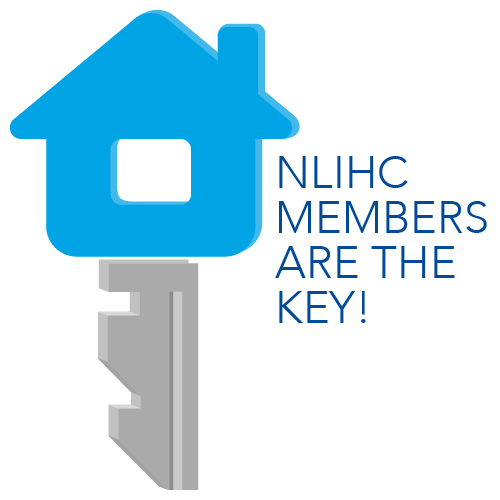 NPH and EBHO are honored to be recognized by NLIHC for our longstanding roles and partnerships initiating, supporting, and driving success for affordable housing investment policy via a number of local revenue measures in the San Francisco Bay Area this past fall. We took on this work because we knew acting locally mattered. What we didn’t know at the time, but has become increasingly and devastatingly clear since Election Day, is just how vital local action on affordable housing would become. The following is our perspective on why it’s important to continue defending affordable housing policies on the national level, but we should also stay vigilant to drive progress locally. In 2011, California’s governor and legislature dissolved our state’s redevelopment agencies, cutting $1 billion annually in funding for housing for low-wage workers, seniors, people with disabilities and veterans. Coupled with federal cuts, some California counties experienced a reduction of 89% in affordable housing investment – all while housing needs continued to grow. Advocates recognized that we needed to take control back into local hands. Working with elected and community leaders, NPH and EBHO worked to find local and regional opportunities to create affordable housing investments. Then, we looked within to identify unique opportunities to galvanize our affordable housing community, including building and mobilizing a robust resident engagement program. Building up to the November 2016 election, our organizations worked with leaders, partners, members, residents, and community members to initiate, support, and win a number of local affordable housing funding measures to invest in the affordable housing opportunities and options our communities needed. Including our work on Measure A (Santa Clara County), Measure A1 (Alameda County), Measure K (San Mateo County), Measures KK and JJ (Oakland), and Measure U1 (Berkeley), we secured more than $2 billion new, urgently needed revenue to create affordable housing opportunities in our communities this past fall. NPH worked with resident leaders across Santa Clara, San Mateo, and Alameda County to develop a voter registration and education program for affordable housing residents, including speaker trainings, distributing more than 11,000 voter materials in seven languages to affordable housing residents, and organizing member staff and residents to support campaigns directly through phone banking and precinct walking. EBHO resident leaders from affordable housing communities in Oakland made more than fifty presentations across the city and worked tirelessly to reach neighbors, friends, faith communities, and other local groups with the message to vote yes for affordable housing. Providing strategy, developing strong coalitions, fundraising, and organizing our communities proved well worth our efforts and an important step in driving solutions. We’re obviously proud of our work and honored by NLIHC’s recognition. But with more cuts coming from the federal level, it’s no time to rest on our laurels. Our commitment to advance inclusion, racial and economic equity in our communities is more important than ever. The proposal to eliminate a number of important programs, including Community Development Block Grants and HOME Investment Partnerships, as well as dramatically reduce funding to other core programs that our communities rely on. Any one of these bullets would cause concern. All together? It’s not an overstatement to recognize the direction of the federal administration as a direct attack on our ability to create thriving, inclusive and equitable neighborhoods. We’re thankful to have national partners like NLIHC working hard to fight back against these cuts and harmful proposals, and to press HUD Secretary Ben Carson on commitments to HUD’s mission. We believe that local and regional organizations must support these efforts and do what we can do to bring voices from all over the country to support their strategies. But, given the sheer enormity of current situations, it will take more than our status quo. It’s more important than ever that we push on our local and state leaders to defend our communities and find new solutions. For those of us in blue states, it’s not enough for our local leaders to decry the federal administration’s actions – they must commit to take the actions they can to defend our most vulnerable communities, fight for affordable housing, and preserve our values. Here in California, advocates are looking to local and state leadership to help defend our most vulnerable communities, fight for affordable housing, and protect our neighbors. To echo Assembly member David Chiu (D-San Francisco), we know that California’s housing crisis existed before the Trump administration took office – but there is no doubt that this Presidency is exacerbating and inflaming the problem. California, and especially the Bay Area, has long been known to lead ‘worst of’ lists when it comes to housing affordability and opportunities. But we’re proud of the work our communities have been doing to step up and emerge as leaders in finding solutions too. Affordable housing advocates are coming together to work closely and strategically in one voice, in a way like never before to make sure our leaders do their part in supporting the needs of our neighbors and the values of our communities. For those of us in more conservative states, remind your elected officials that affordable housing is not a partisan issue: In fact, polling from Ipsos Public Affairs showed that more than 3 out of every 4 voters were more likely to support a candidate who made affordable housing a priority in government. In fact, a strong majority of Republican, Democrat, and Independent voters alike want to make affordable housing a core component of their party’s platforms. Especially at this national moment, those of us working in cities and states across the nation need to push on decision makers to find local solutions to advance housing justice. Voters have demonstrated their unity behind affordable housing. Now, we should push on our local and state leaders to keep up the urgency and keep building on the movement. While we can’t give up on fighting at a national level, it’s more important than ever to look at local, regional, and state leaders in order to drive progress.